Short boards are easier to turn than Long boards ......... ?? "What a good short board for a beginner ?" "I heard Short boards will help me learn to turn ?" "Longboards are too hard to turn, so I want to go shorter." Short boards and the surfers that rip /shred on them are cool. 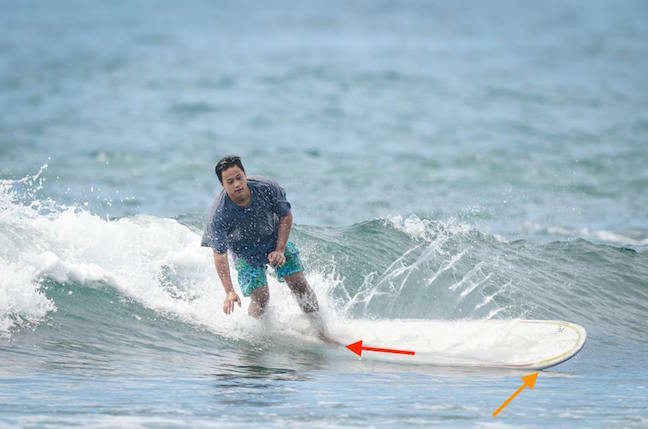 But is it because they are on a shortboard that allows them to turn, carve and cutback ? Is it because there is "less" board to turn that makes it "easier" TO turn ? A lighter baseball bat, bowling ball, bmx bike is easier to pick up. But does that actually translate to power and control ......... especially for a Beginner/Intermediate ? If you try to turn the whole length of a longboard, you'll be fighting almost 9 foot of rail. Notice the spray sheering off near the nose. Rider is leaning not turning. Turning from the middle of your board doesn't allow the board to be manueverable. Surfboards turn off the fins. The fins are at the rear of the board, NOT in the center of the board. Notice again, the water line up to the nose. So is the answer is to get a shorter board ? Here because of the steepness of the face, board too flat and weight too forward, rail not engaged, the rider is catching an edge and is about to get flipped over. 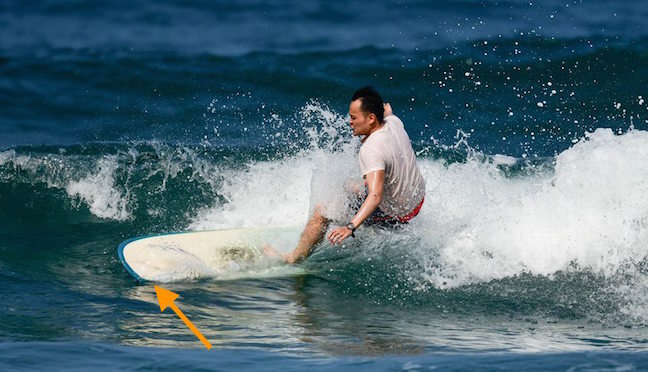 So even if you get a shortboard, you still need to be in the proper part of the wave on the proper position on the board. 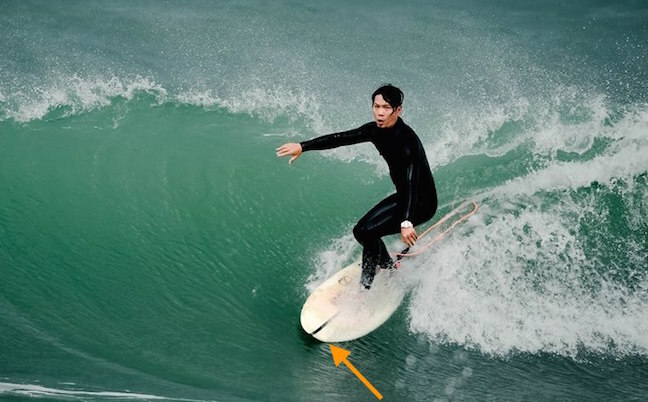 A shortboard may be "too maneuverable" for most beginner/intermediates. 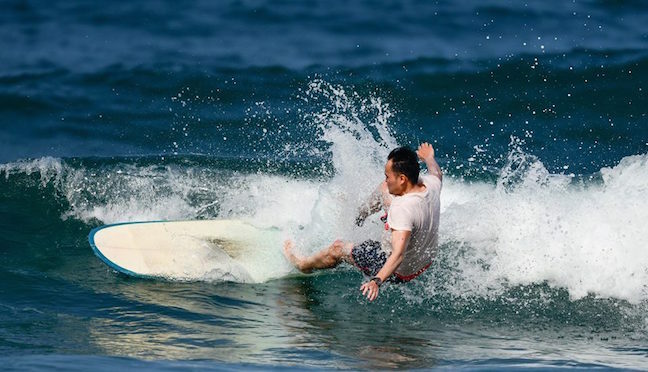 Shortboards may seem faster, especially on the takeoff, because they need a steep face to take off on. Shortboards are not as stable and floaty as a Long(er) board which lets you take off early and get to you feet early. 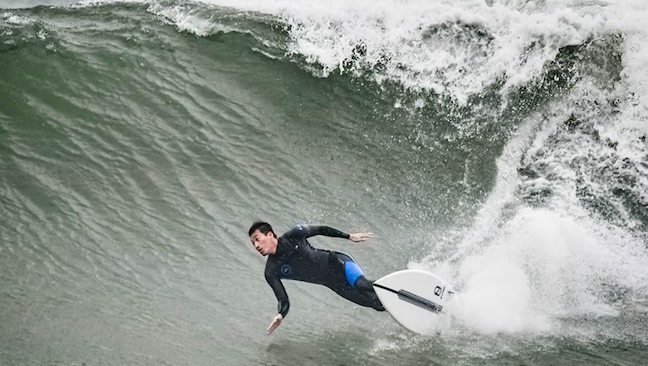 Shortboards may even feel like a "Wet Noodle." If you're making mistakes turning a longboard, just getting a shortboard won't make those problems disappear. In actuality, more problems will be exposed. Again turning from the middle of the board. Turning without enough speed. 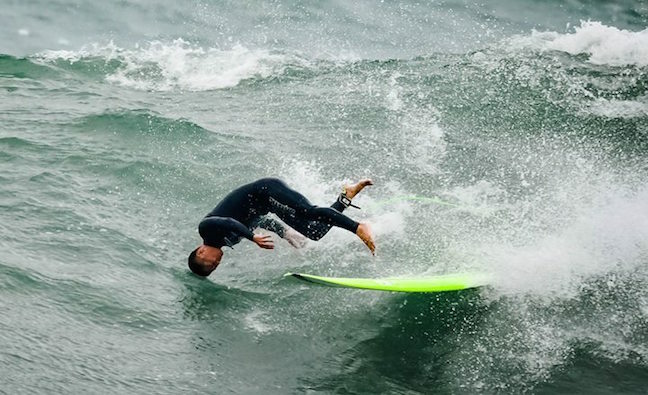 Turning on the wrong place on the wave. Turning too late ( or too early ), makes it hard to turn a Longboard ( or any board as a matter of fact ). Learning to turn a surfboard is more than just the "board". 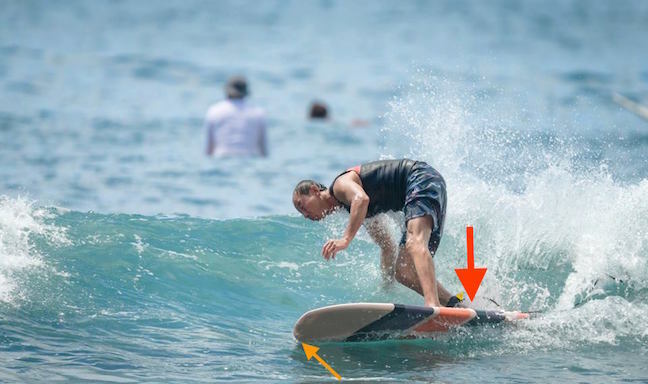 Shortboarders that rip on their shortboards make it look easy to turn, because they know HOW to turn. Just because I buy the top of the line Golf clubs, Paint brush or mega PC, doesn't automatically makes things easier. Those are just tools, they all need the operator's input to make it "perform". MY ADVICE: If you can't turn your 9'0" longboard with 2+1 fin set up, try using a 10'0" single fin for a whole 2 weeks. After that it will be a breeze to turn that 9'0".